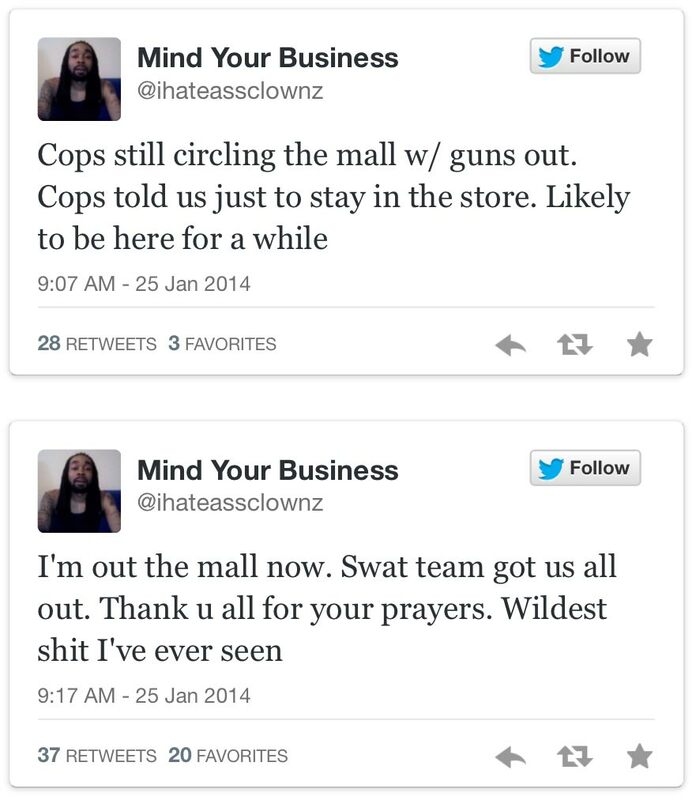 The Maryland mall shooting in Columbia, Maryland that occurred on Saturday, January 25th, 2014, was primarily a social media news event. This event was exactly the type of scenario that confirms how fast things can move, and how, as Public Information Officers, we need to have our social media systems and procedures in place. Social media is really the only way to quickly communicate critical information to the media and public. This event was unusual in that it was essentially over within an hour, from what I could tell. Local TV stations were apparently unprepared to cover it, because there was apparently no live coverage from the scene. National news media were grabbing photos from citizens' social media feeds to illustrate the story. 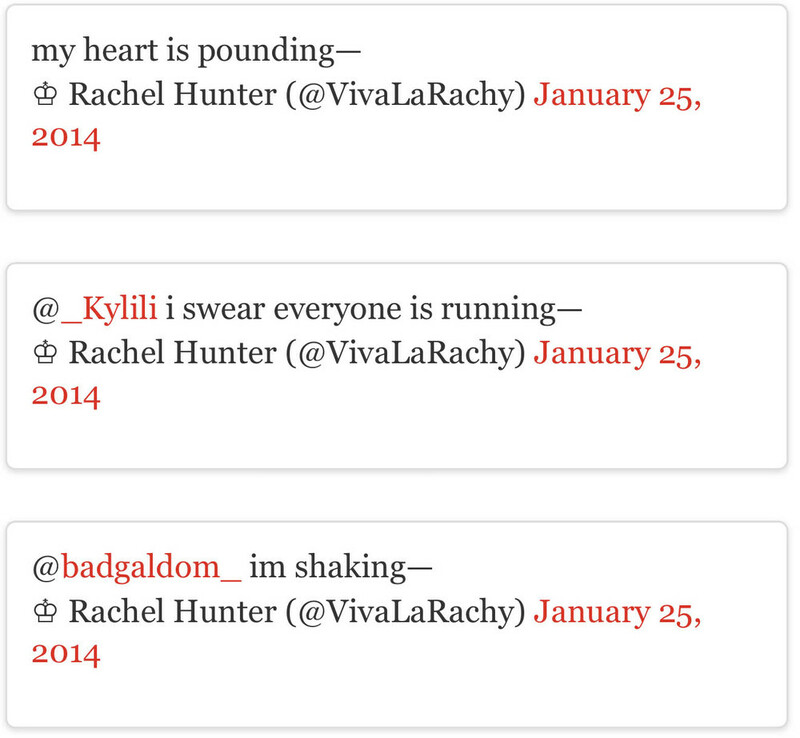 Below, I put together a selection of tweets that I grabbed during the event. The public could follow the events by listening on their smartphones or tablets to police scanner traffic streamed online by radio enthusiasts, who tweeted the links. (The utility of online scanners is something that I regularly teach Public Information Officers about in my social media/emergency communications training). Within an hour, police revealed that the shooter and two others were dead; trapped customers and personnel were being released from the mall, and the active shooter event was over, though there was much investigation ahead. It will be curious to hear why it took so long for local news stations to get any live on-scene TV coverage going for the event. There really was nothing, from all I have observed. In fact, Twitter users were commenting on the local stations' inability to respond in a timely manner. I'm surprised that no one was streaming mall coverage even via smartphone using UStream, Skype, BFF, Livestream, or any of the other live streaming tools that are available. So there's my quick look at the event. Thanks for reading.